Even if Congress declines to reinstate sanctions on Iran after President Trump’s address, the nuclear agreement will still be on shaky footing. What are the grounds for President Trump’s decertification of the nuclear agreement? The decision is political, not technical. President Trump is signaling to his base that he is tough, and that he’s rolling back some of President Obama’s chief legacies. Various folks even within the administration—Secretary of Defense [Jim] Mattis and Secretary of State Tillerson—as well as U.S. military personnel, including [Chairman of the Joint Chiefs of Staff] General [Joseph] Dunford, have said that it is in the United States’ national interest to stick to the nuclear deal. Even those who were not necessarily in favor of passing it have come out and said that the U.S. should continue to implement it. There is a broad consensus that Iran has been complying with the nuclear deal. The [International Atomic Energy Agency (IAEA)] director-general, Yukiya Amano, gave remarks just days before President Trump’s decertification remarks saying that Iran was complying with the deal. That’s also the position of the European Union and the Joint Commission [established by the JCPOA to mediate its implementation]. And when Secretary of State Rex Tillerson met with the Iranians [at the UN General Assembly in September], he said there is no question that the Iranians were complying with the technical elements of the deal. But the president also believes Iran is not in compliance with the “spirit” of the nuclear deal. The Europeans and others have said that containing Iran’s nuclear program contributes to international peace and security, even if [there has not been] a huge overhaul in Iranian behavior. But the deal wasn’t meant to address all the challenges Iran poses to stability and security in the region and beyond. It was designed as a very focused process, curtailing the country’s sensitive nuclear activities. This speech comes just a few weeks after Trump extended waivers on nuclear-related sanctions. What outcome is he after now? The president has gone for something like the DACA move: passing the buck to Congress. In essence, the president is decertifying the deal not on the grounds that Iran is failing to uphold its end of the bargain—though he has also indicated that he believes Iran is not complying with the deal—but due to his view that the deal isn’t in the U.S. national interest. This kicks the ball to Congress. Congress can refuse to impose more sanctions, avoiding rocking the boat any further. Another scenario would be that Congress imposes sanctions. Quite a few moderate Republicans who were against the nuclear deal seem to believe that it is not in the United States’ interest to withdraw from it currently, and so they would be reluctant to impose more sanctions, but it is too close to call. The third emerging option would be for Congress to hold off on imposing new sanctions but to unilaterally install new goal posts, or so-called trigger points. In other words, it’d say, for example, that if Iranian breakout time—the time it’d take to accumulate enough fissile material for a nuclear weapon—goes below the current estimated one-year mark, sanctions would be automatically imposed. This option means Congress would modify the agreement by itself, with little or no input from the other parties, imposing restrictions on Iran that it hasn’t agreed to and would have no reason to implement. What if Congress declines to reimpose sanctions? In that case we’re not necessarily going to see a big immediate effect on the nuclear deal, but there will be an impact down the road. How long will Iran continue to implement the nuclear deal without getting the dividends it hoped for? A couple of questions that will have to be answered are: How sustainable will the deal be without the United States? And how will uncertainty surrounding the future of the deal impact economic recovery for Iran? There’s already been uncertainty because of the 2016 [U.S.] presidential elections. This has added to challenges stemming from Iran’s own domestic challenges—corruption, mismanagement of the economy—as well as the remaining sanctions. All of these have made investors and businesses reluctant to jump into the Iranian market. But with the deal decertified by the president, the looming threat of more sanctions, and the moving of goal posts by Congress, will businesses and investors go into Iran? And if not, then how long will Iran continue to implement the nuclear deal without getting the dividends it hoped for? What would happen if Iran were to stop implementing its obligations? From a technical perspective, it would take the country some time to go back to the status quo ante. And some elements would be difficult to reverse entirely for a while, such as resumption of the work on the Arak Heavy Water Reactor, which is being redesigned as part of the deal with help and input from the U.S. and China. Iran has removed the core of the reactor. Likewise, it’d take time to build up its uranium stockpile to the pre-deal levels. But say Iran also leaves the deal and no alternative is reached within a few months, we’d be dealing with the same situation we were tackling prior to the JCPOA, except with a much more determined Iran, who’d be less likely to return to the negotiating table and much less likely to make the same concessions as before. Overall, from a nonproliferation standpoint, this would be a major step back. If signatories to the agreement except for the United States continue to implement their obligations, how will Iran move forward? Their focus is the EU. When discussion about the United States withdrawing started to pick up, the Iranian leadership made several major statements that they would continue to implement the nuclear deal, but only if the Europeans stay on board. Iran came to the table in 2012 to expand economic, political, and other ties with the European Union, in particular; they were already working with Russia and China. During the talks, and right after the JCPOA was reached, the Iranians were going around the European capitals and hosting EU delegations in Tehran hoping for broader political and economic ties. For them, if the EU stays, the JCPOA is worth keeping. There has been some pushback against this by hard-liners, but there are even hard-liners who have come out in support of this position. The challenge will be to see, if there is no economic dividend in a couple of years because of U.S. sanctions or uncertainty, if that position will hold. So would the agreement’s fate then depend on whether the United States decides to enforce secondary sanctions on, say, European firms that would do business in Iran? That’s one of the big questions. A second question is the general climate surrounding implementation. The signal that decertification and debates in Congress send to investors and businesses is going to be a big one. Even during the Obama administration, it took some time for businesses and investors to go into Iran, including regional ones that had been looking to jump into the market. Now, with this uncertainty, it will be more difficult. We’ll have to see how various companies respond. If investors really are spooked, what might Iranian politicians do? Popular support has shielded the Rouhani government from too much criticism from the hard-liners, but if, say, five years from now the economic dividends are not visible or are slow to trickle in, the public will lose its interest in the nuclear deal. On top of that, moderates and conservatives who have expressed some support, or at least withheld some of their criticism, of the nuclear deal may vocally oppose it. The hard-liners, who have been critical of the nuclear deal since the beginning, will gain support. The next election cycle will be in a little less than four years. Rouhani has had his two terms, so that’s the end for him as president (though he may seek another key position), but anyone aligned with Rouhani’s view of opening up and reforming the economic system would have a much tougher time running. The president’s decision was framed as part of a broader effort to ratchet up pressure on Iran. It’s a departure from the Obama administration, where everything took a backseat to the nuclear issue. Here, there seems to be a more general approach to Iran’s behavior. The policy seems to be more pressure, more sanctions, more isolation of Iran. The president clearly has concerns and grievances about Iran’s behavior—which is fair, given that some of Iran’s activities are deeply challenging to U.S. interests. But the president’s remarks and the outlined strategy that’s been circulating read more like a list of problems than a strategic plan. Iran is involved in theaters critical to U.S. Middle East policy, from Afghanistan to Iraq and Syria to Yemen. A policy based on nothing but increased pressure not only endangers U.S. forces in those countries, and those of its allies as well, but also means that any kind of accidental crisis cannot be deescalated. It also means that the U.S. can’t count on Iran for any help or coordination, which has been critical at various stages in Afghanistan and Iraq. There are crises left and right in the Persian Gulf, and for the past couple of years we had a channel to deescalate created by Secretary Kerry with Iran’s foreign minister, Javad Zarif. That is gone, and any small crisis can now lead into a broader conflict. Will decertification have unintended consequences for other crises? Allies will think twice before following the U.S. lead. This really is short-sighted. It disregards damage to American credibility and its ability to bring both friends and foes to the table in the future. Adversaries are going to be much more reluctant to come to the negotiating table, and allies will think twice before following the U.S. lead on imposing sanctions in multilateral processes. 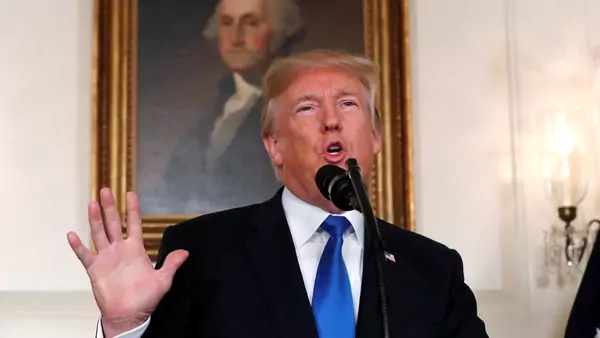 The reason why the nuclear deal was successful was the United States’ ability, number one, to galvanize the international community to impose sanctions on Iran. U.S. sanctions alone would not have been as effective. And number two was that the United States could actually take the leadership role. The European Union, and China and Russia, were crucial in getting the nuclear deal, but the United States led the process. Decertification is going to undermine sanctions as a tool of foreign policy. It’s already a difficult task to get the North Koreans back to the table, but it’ll be even more difficult. More generally, the back and forth on the nuclear deal has damaged some of the core ideas that have made American leadership possible over the past few decades—credibility and continuity in certain policies that various Republicans and Democrats have upheld.